Today’s wedding sees us head over to magical Ireland for this stunning castle elopement. 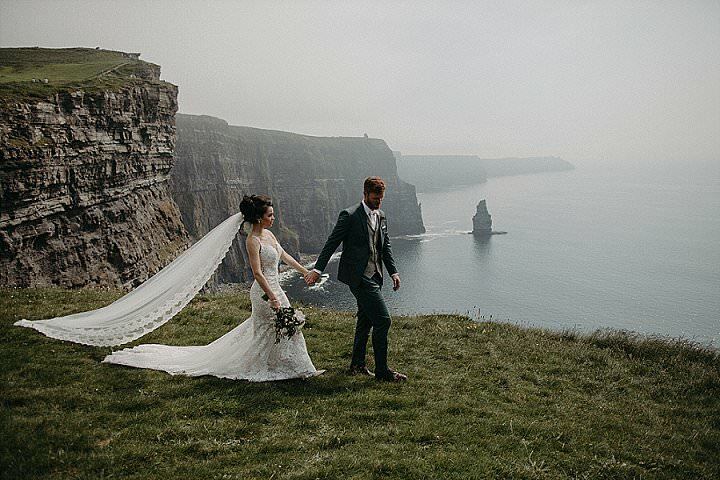 Shannon and Darren are from Dallas and Canada respectively, but wanted to cut out the fuss of an overly fussy wedding by following Shannon’s Irish heritage and holding their elopement wedding in Ireland. they chose an amazing 16th century castle to tie the knot and the views are breathtaking. This wedding goes to show that you don’t always need a lot fo fuss, details and huge decoration budget to create the perfect wedding. This wedding is classic, elegant, intimate and totally stunning. Big thanks to Sean and Kate who were there to capture the day. Our wedding day was perfectly our own. The whole day had a glow and was filled with overwhelming love.